EveryDollar helps you start living on a plan. No more looking over your shoulder at what you’ve already done. Now you’re looking ahead to your future and how the power of your income can bring life to your dreams. That’s what separates EveryDollar from all the other online budget tools available. With EveryDollar, you’re in the driver’s seat. You tell your money where to go instead of wondering where in the world itwent. Don’t be fooled by the other so-called budget tools out there. A budget is not looking back at how you spent your money last month and thinking, Whoops, looks like I spent too much money eating out! You work too hard to let your money slip through your hands without knowing where it’s going. Your hard-earned dollars are worth more than that. With an EveryDollar budget, you allocate how much you intend to give, save, and spend each month and you follow a proven plan for winning with money. 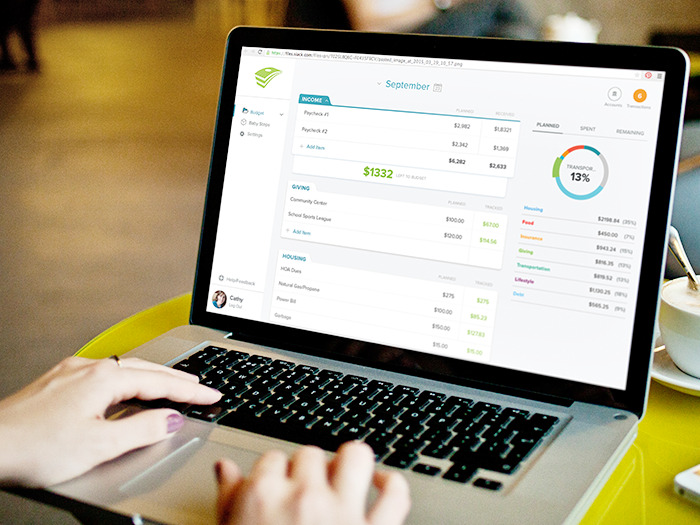 We make it easier to stick to that plan by allowing you to keep track of your expenses throughout the month at EveryDollar.com or with our iPhone app. Bottom line: Take control of your money like never before. With EveryDollar, you’ll be living on a plan for the future, not catching up from the past. Sound cool? Check out EveryDollar.com and sign up right now!